I’ve got something so exciting to share with you today. This is something I have dreamed of creating for years and I can’t believe it’s taken me this long to actually do it! What I have created is something that is going to make your smoothies filling so you don’t feel hungry from one meal to the next. Green Thickies Hunger Buster Meal Replacement Powder!!! What Is A Homemade Meal Replacement Powder? It is a smoothie powder that is healthy, made from real, clean food, unprocessed, natural, delicious and filling. You can use it as a meal replacement by adding it to your smoothies. It is free from chemicals and toxins and bursting with nutrients. It is one of my 20 ‘fillers’. I have a secret smoothie filler system where one of my Green Thickie ingredients is always a ‘filler’. A Green Thickie is a green meal in a glass and having a filler is an essential part of making a meal that contains enough calories to fill you up from one meal to the next AND also help you lose weight. A filler is something that fills you up and keeps you going from one meal to the next. I have 20 of them and most of them were unprocessed clean ingredients apart from 2 of them which were (healthier) packet foods. I didn’t want any packet mixes to form part of my 20 smoothie fillers so I set out to create my own smoothie powder mix. So what’s the advantage of using a homemade smoothie powdered mix over any of the other fillers? Some of the other fillers are fruit and vegetables and require peeling and chopping. So they take a little bit more time. And the fillers that aren’t fruit and veg are single ingredients such as nuts, seeds or coconut. These are all great healthy foods – but they don’t give you a variety of different healthy ingredients all within the one smoothie. For the filler base I selected 4 ingredients that work perfectly in a smoothie. You can choose just one of these as your base or a combination. I used a combination of all of them and they all taste great and blend well in a smoothie. One serving is ¼ cup of meal replacement powder per smoothie serving. 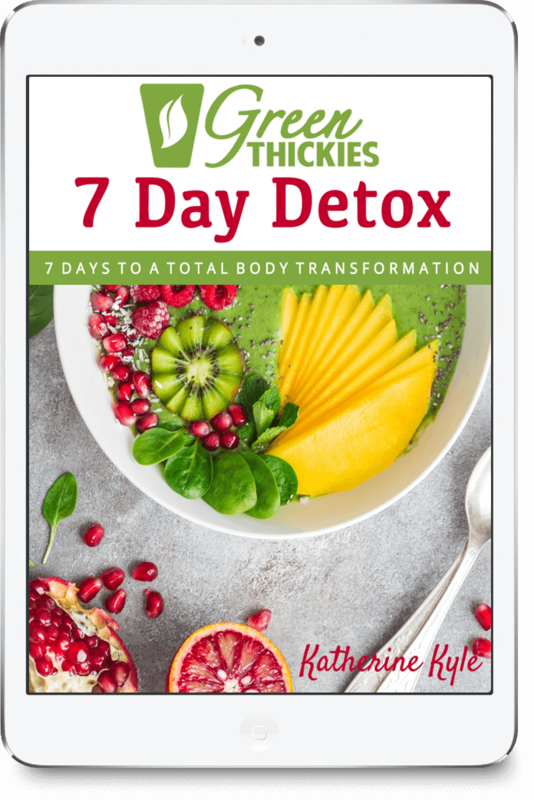 Most of my Green Thickie Recipes serve 2 so if you are using my Green Thickies recipes, most of the time you will use about ½ cup of meal replacement powder per batch (2 servings). You can add this meal replacement powder to any of these Green Thickies Recipes. So by all means you can just use some of these powders on their own in your smoothies without even making up a mix at all. But if you want to take things to the next level and create a meal replacement powder for yourself, I’ll show you how to add some other ingredients in a second. Before I do that I want to break down these filler bases and give you some reasons why you would choose one base over another. I’ll also give you some helpful tips with each filler base. Oats are low in calories but high in fiber which means they fill you up and keep you from going hungry. This means you are more likely to lose weight. If you’re not hungry you won’t eat so much! They also absorb a lot of water and swell in a liquid. So they are perfect for creating a thick smoothie like a Green Thickies – as your smoothie will be more like a meal and less like a drink. Oats are very cheap – you can buy them at your local store. Rolled/porridge oats are already heat treated so you can throw them straight into your smoothie without having to cook them. The benefits of using oat flour rather than oat flakes is because it’s much easier for your blender to blend and it’s easier to mix with other ingredients in a meal replacement powder. 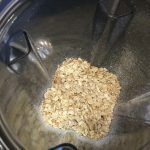 Did you know you can actually make oat flour very quickly using rolled oats – just using your blender? All you need to do is place at least 3 cups of rolled oats (the more the better) into your blender and blend. Within seconds you will have oat flour! Where To Buy Oat Flour? 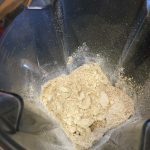 If you don’t want to make your own oat flour, you can now buy oat flour from Amazon. Get your oat flour here. Ah the mighty coconut! We hear so much about the benefits of coconut, so why not base your smoothie on this superfood? Coconuts are nutritious, high in fiber and contains an abundance of vitamins and minerals. Coconuts are great for weight loss and they are also anti-viral, anti-bacterial, anti-fungal, and anti-parasite! If you are on a grain free diet – coconut flour is a good option. You can get your coconut flour here. What on earth is green banana flour? Banana flour isn’t that well known but if you are trying to lose weight or enjoy the best health you can get – this is definitely something to get excited about! Banana flour is made from green bananas and nothing else at all. Green bananas contain a lot of resistant starch which is a type of fiber that the body can’t digest. Which means that it bulks out your meals with less calories. This is a light and fluffy flour and surprisingly it doesn’t actually taste of bananas! Green Banana powder is gluten free and grain free so perfect for most special diets. It is also so high in nutrients that it has been shown to lower the risk of many diseases. You can get your green banana flour here. No doubt you’ve heard how nutritious sweet potatoes are? Sweet potatoes have a fairly low glycemic index which means they are likely to keep your blood sugar levels stable – helping you avoid cravings. They are also high in fiber and low in calories for the amount of bulk you get. 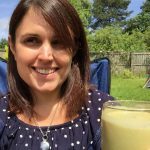 Sweet potatoes are one of my very favourite smoothie fillers because they are a vegetable and have so many nutrients are are fairly low in fat. Plus they make smoothies taste sweet and tasty. They also thicken up smoothies really well too. I am lucky because I can get frozen sweet potato chunks that I can throw straight in my blender. (Yes you can eat sweet potato raw and it’s a lot better for you that way – the nutrients are a lot higher). But if I couldn’t get frozen sweet potato I would be more tempted to use a powder more often. You can get your sweet potato flour here. How Much Quantity Of Filler Base To Use? This depends how big you want your batch of meal replacement powder to be. What I would suggest you do it make just one serving of smoothie mix first and see if you like it. If you do like it, make a big batch. Now it’s time to add some flavour! 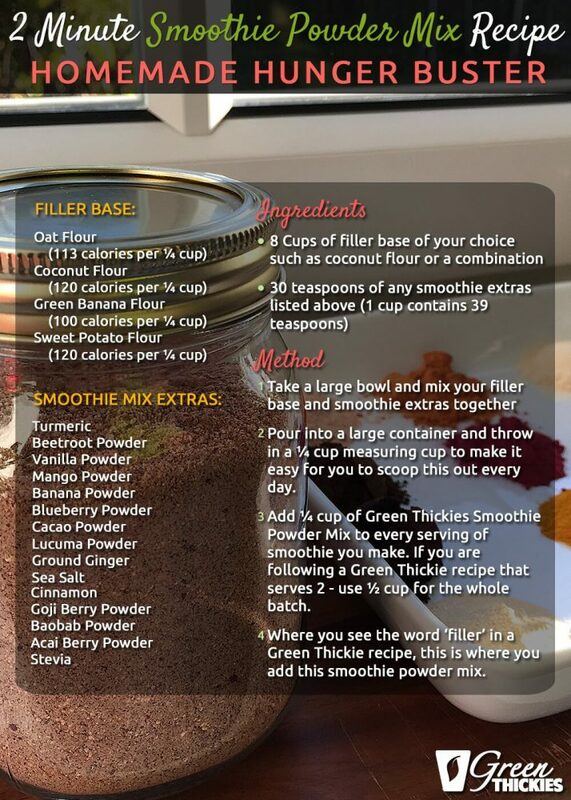 Here is a list of extras you can add to make your meal replacement powder taste delicious, look beautiful and add additional superfood nourishment. How much of these extras should I add to the meal replacement powder? 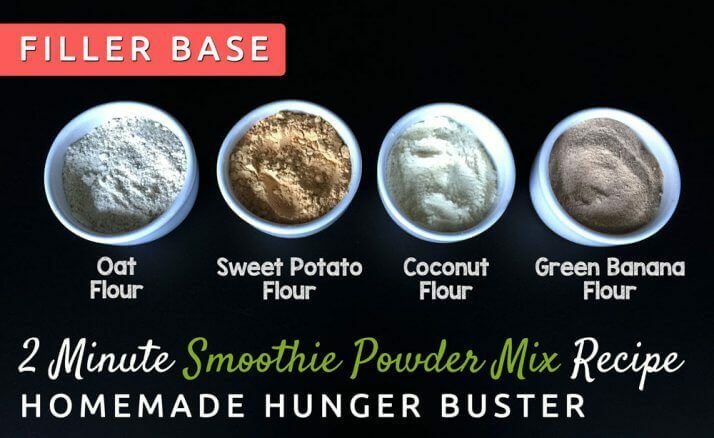 Add approximately 1 teaspoon of any of these meal replacement powders per serving. (Unless otherwise states) So if you are making a batch that lasts for a month, add 30 teaspoons of any of the following. Feel free to mix and match as you choose. Only add the ingredients that you like. Can I add protein to this meal replacement powder? 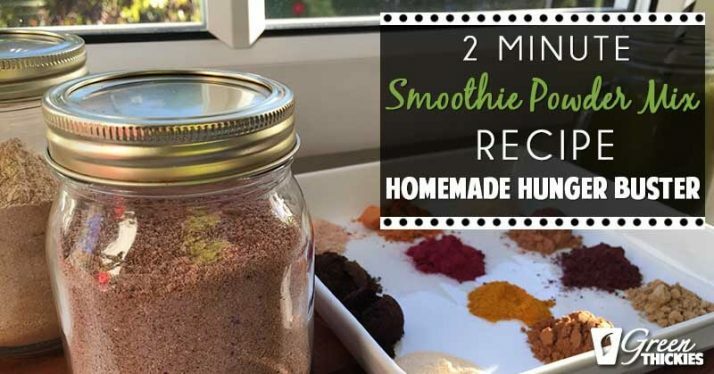 The intention of this homemade meal replacement powder is to provide calories and nutrients, not necessarily protein as that is a separate ingredient in a Green Thickie. Although most whole foods do contain protein so there is definitely protein in this meal replacement powder, but we will add more protein to our Green Thickies as part of the recipe. I am currently working on a homemade protein powder which will be a separate recipe – so watch this space! If you have room for this powder mix in your fridge, that is the best place for it as it will keep it the freshest. But since most of these ingredients came from packets, it is fine to store this mix in a large container (glass is best, but plastic will do the job too) close to your blender. Add ¼ cup of Green Thickies Smoothie Powder Mix to every serving of smoothie you make. If you are following a Green Thickie recipe that serves 2 – use ½ cup for the whole batch. Where you see the word ‘filler’ in a Green Thickie recipe, this is where you add this smoothie powder mix. 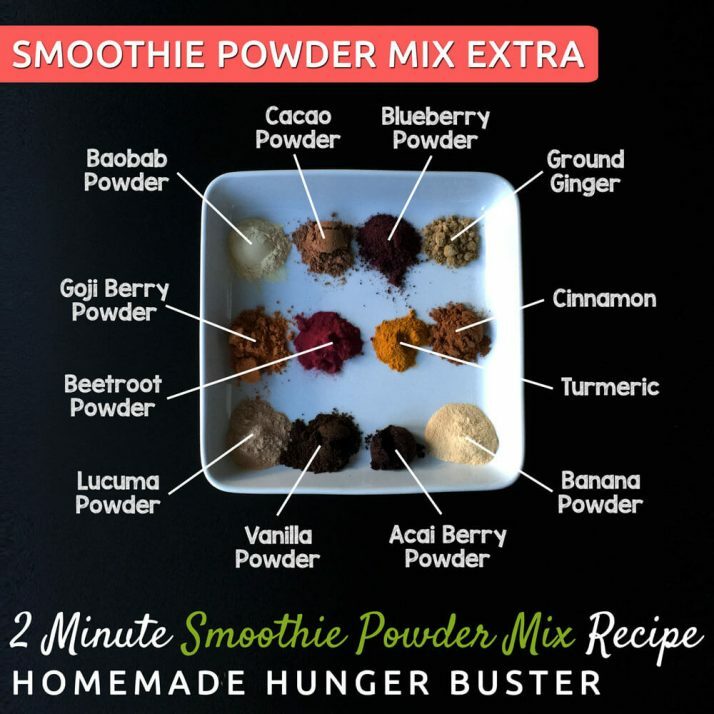 Although this post is quite long because there are so many options, this smoothie powder mix is actually really quick to throw together. It should take you just 2 minutes after you’ve decided which ingredients are going in it. I can’t wait to hear which ingredients you used in your own healthy meal replacement powder. Please leave a comment below and let me know how you liked this. 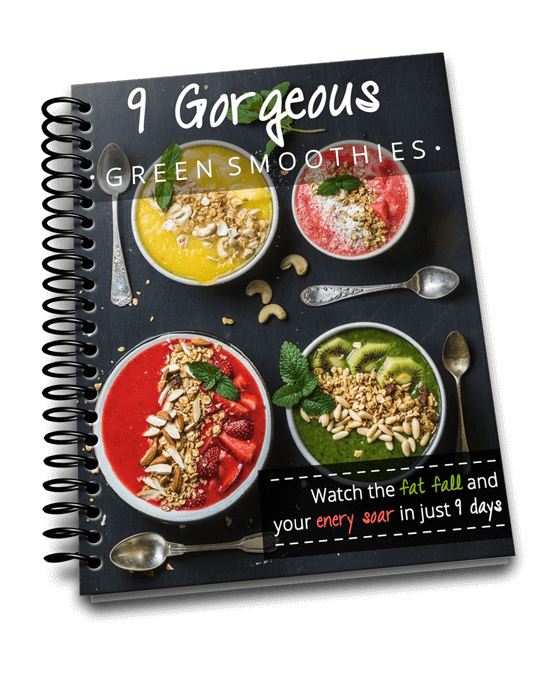 If you would like to get your hands on 9 of my tasty green smoothie recipes to try this meal replacement powder with, I’d love to give you a FREE download. You can add ¼ cup of Smoothie Powder Mix to each serving of smoothie in this download. Get my 9 Gorgeous Green Smoothie Recipes by clicking here. I’m really loving all of the fabulous info you are sharing!! Thank you SO VERY MUCH!! I’ve just been given a large amount of hemp powder and wonder if you’ve ever used it in a smoothie or thickie, and/or if you have any ideas on how I might go about using it …. Thank you so much! Yes sure I add hemp to my smoothies all the time. You can sprinkle it on salads or make raw treats out of it too. Yes, I would just add 1-2 tablespoons of hemp powder per smoothie recipe. Came across this post and was wondering if I could add Flaxseed powder or would I use it seperately? I just found your site while looking for a lemon smoothie. Been craving lemon a lot lately. Thinking I probably need more vitamin C or something since I have the craving. This is a fabulous post! I love the homemade meal replacement powder idea. I’ve looked at all sorts of store bought ones and they always have ingredients in them that I don’t want. Thank you for writing up this post. Also, I can’t wait to try your Lemon Meringue Pie Smoothie. Keep up the great work!